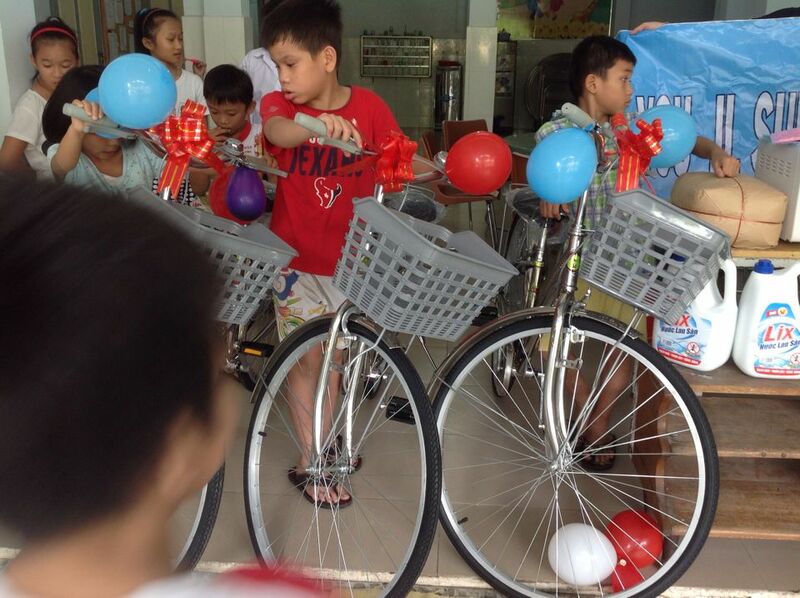 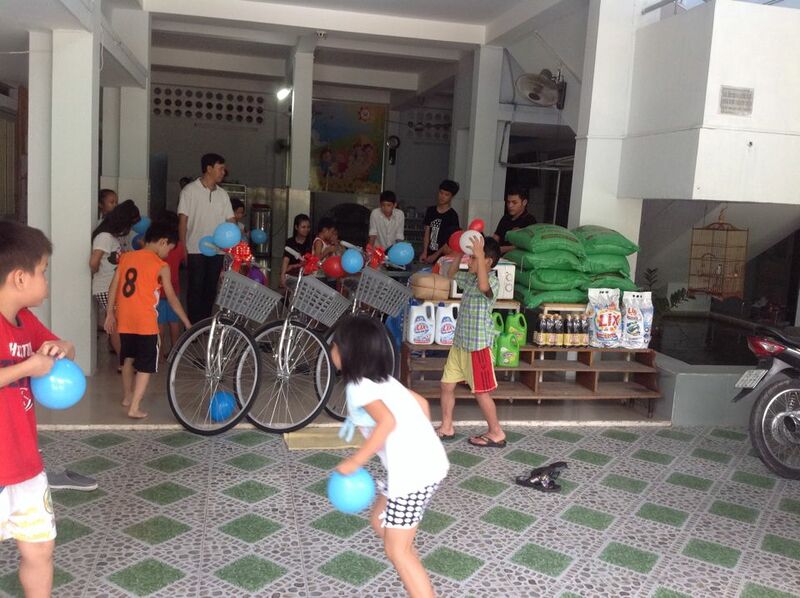 On November 8, 2015 we brought bicycles and essential supplies to the Sunflower Orphanage. 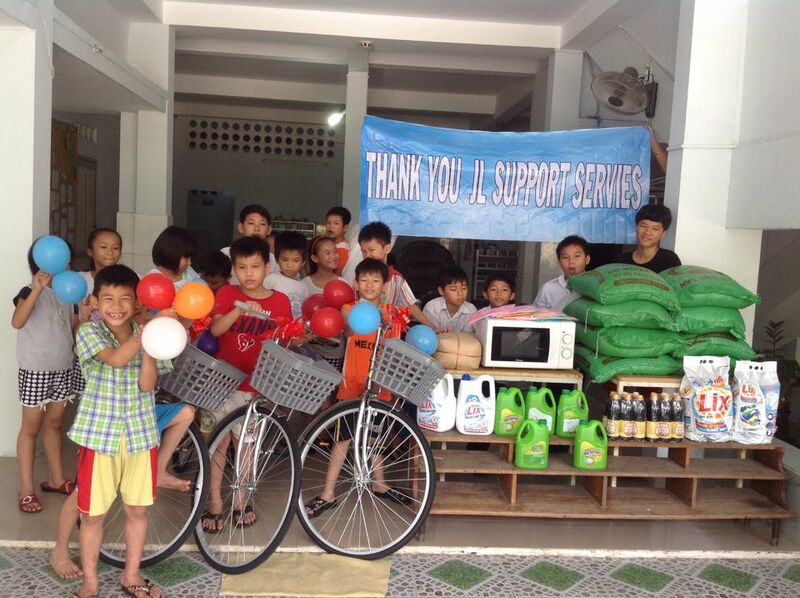 This trip was sponsored by the kindness of JL Support Services. 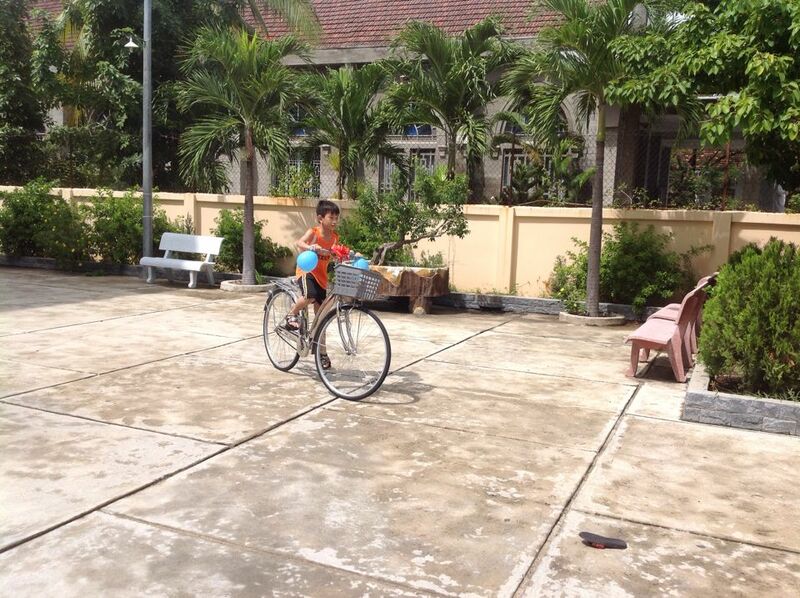 A common image of Vietnam is school children riding their bikes to school. 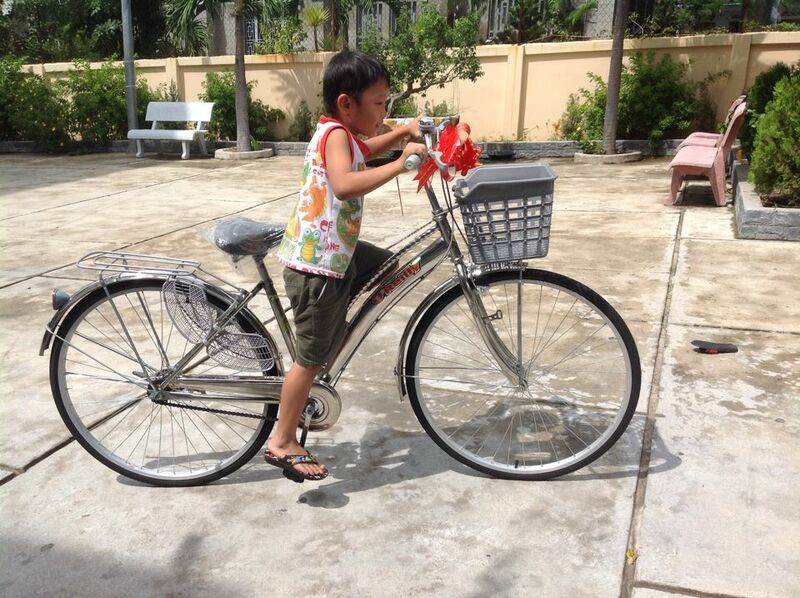 Orphanages such as Sunflower, however, cannot afford the cost of bicycles, and the few that they acquire tend to wear out after constant usage by the many children. 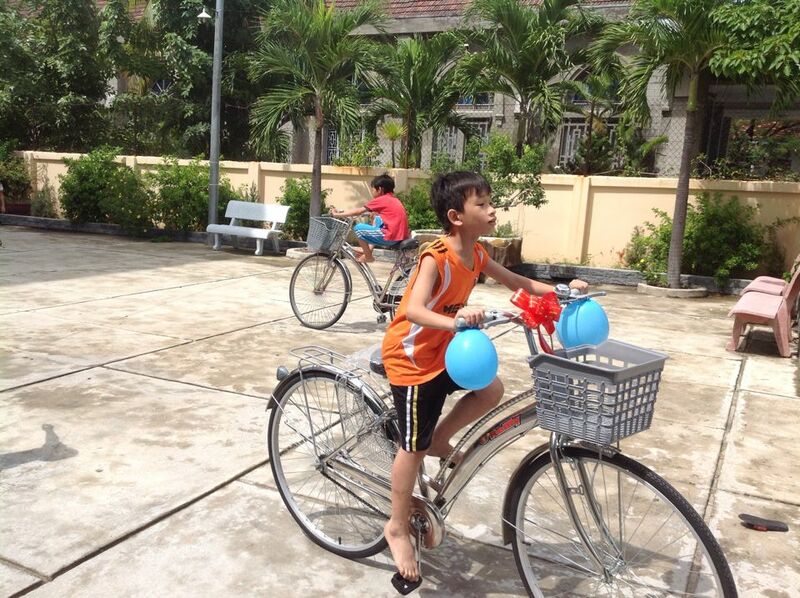 On this visit, we brought 3 new sturdy bicycles for the children to use when going to school. 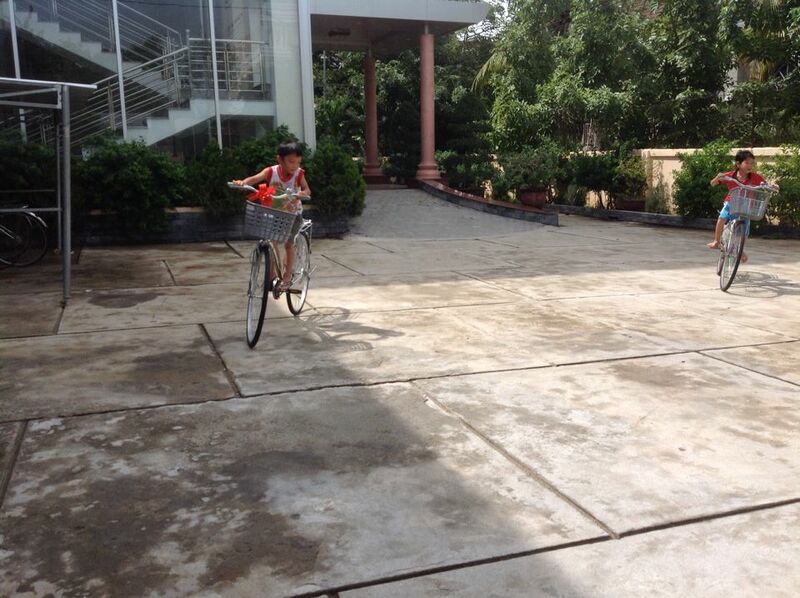 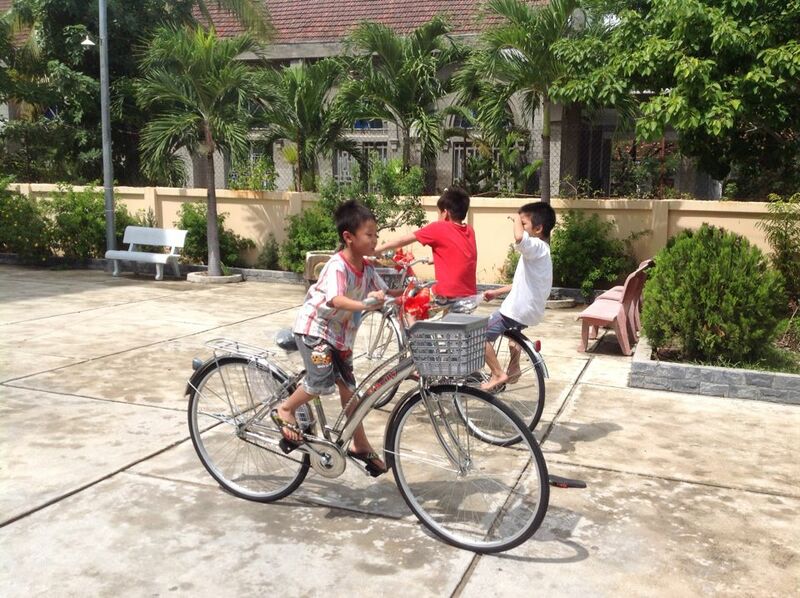 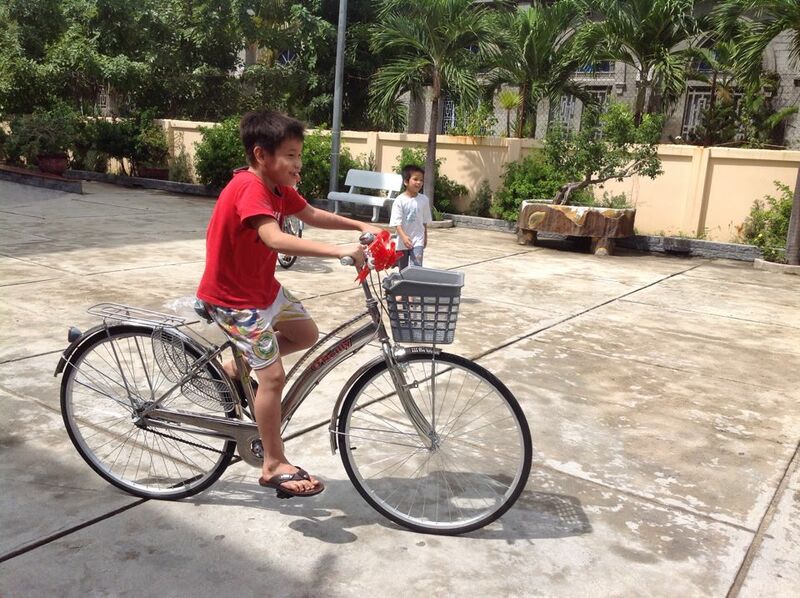 They were quick to hop on and take them for a spin around the orphanage courtyard! 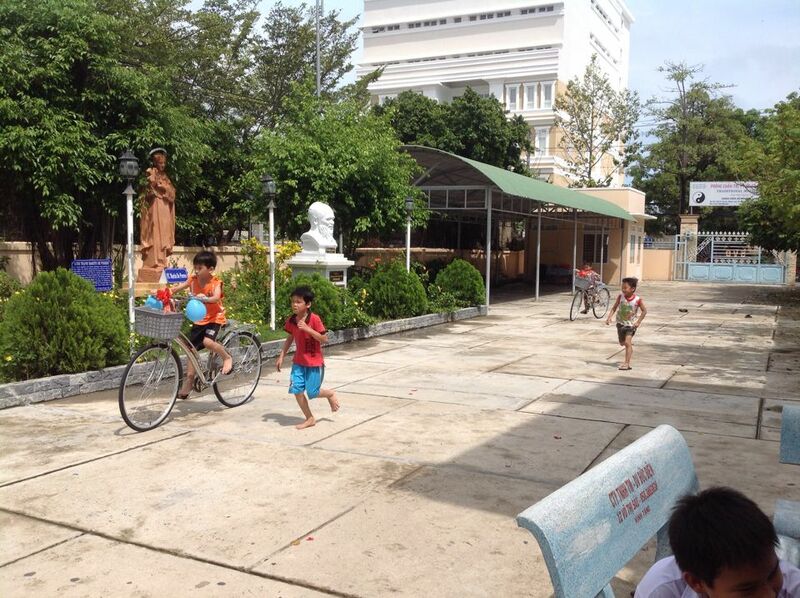 Also on this trip, we brought bags of rice, seasonings, soaps, and a new microwave oven.